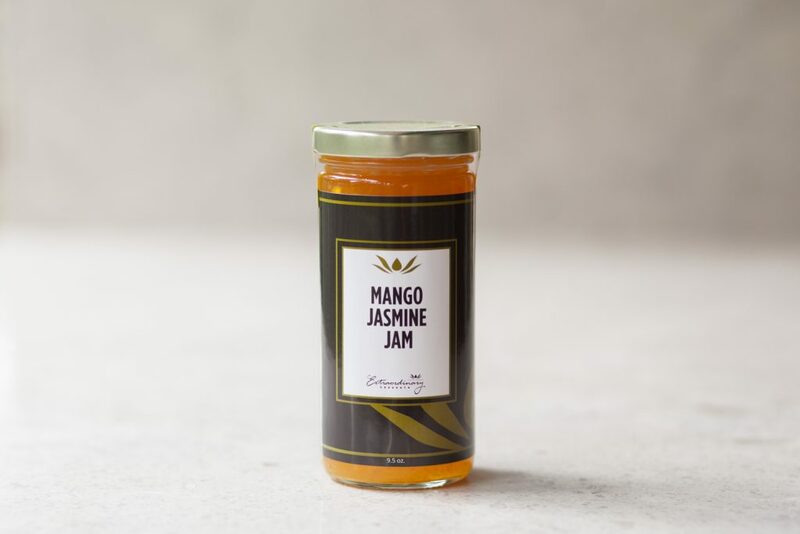 The combination of rich juicy tropical mangoes laced with jasmine flowers is a delicious treat. Serve with muffins, scones, or French toast. INGREDIENTS: Mangoes, jasmine extract, cane sugar, citric acid, pectin.